An anterior cruciate ligament (ACL) injury is one of the most common knee injuries orthopedic physicians treat. At New York Bone & Joint Specialists, you can meet with Leon E. Popovitz, MD, and his team of some of the best surgeons for ACL surgery in NYC. Book your ACL evaluation at the NYC practice’s Upper East Side and Midtown West clinic locations online or over the phone. Your anterior cruciate ligament (ACL) connects your thigh bone (femur) to your shin bone (tibia) by running through the center of your knee joint. This ligament is incredibly durable, but can be injured due to pivoting or landing incorrectly, especially while playing sports. It’s important to seek medical intervention right away if any of these symptoms sound familiar, or if you’re experiencing knee pain that’s starting to affect your daily activities. Sometimes though, conservative ACL treatments aren’t enough, especially if you have a severe ligament rupture. Dr. Popovitz and his team of leading ACL surgeons at New York Bone & Joint Specialists often use minimally invasive arthroscopic surgery to treat ACL injuries. During your ACL surgery, which is often performed under general anesthesia, Dr. Popovitz will make several small incisions, using an arthroscope and thin surgical tools to repair the damaged ligament, perform a tissue graft, or removed damaged tissues. You only need a few small sutures or surgical glue to seal up your incisions after your procedure. How long is the recovery after ACL surgery? An ACL injury is complex and it takes your body time to heal. But minimally invasive arthroscopic ACL surgery shortens your downtime, so you have a faster recovery. In most cases, it’s common to need to walk around with crutches for up to three or four weeks (sometimes longer). You’ll also need physical therapy several times per week for several months to help your ACL heal and strengthen. A complete ACL recovery can take about six months. If you’re a runner or participate in sports, you can gradually start getting back into your activity around eight to twelve months after surgery. 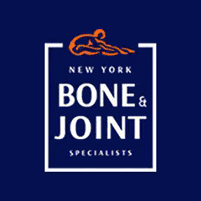 Book your visit with the best surgeons for ACL surgery in NYC at New York Bone & Joint Specialists today. Click on the online scheduler, or call your nearest location.